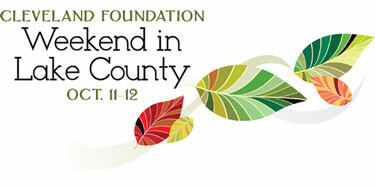 CLEVELAND –The Cleveland Foundation today announced its October centennial gift to the community – Cleveland Foundation Weekend in Lake County – which celebrates its role as the community foundation for Lake and Geauga counties. Saturday, Oct. 11 will be the first free fall weekend admission at Holden Arboretum and Sunday, Oct. 12 will be the first free day for all visitors to Lake Metroparks Farmpark in its nearly 25-year history. Both institutions will be open from 9 a.m. to 5 p.m. No tickets are required. Both organizations have fall harvest-themed activities planned for Cleveland Foundation Weekend, which will take place rain or shine. On Oct 11, Holden Arboretum visitors will be able to enjoy, among other activities, a cornstalk maze and a hay bale climbing structure created by Holden’s horticultural team and Scarecrow Row, a collection of themed scarecrows created by area organizations. On Oct. 12, Lake Metroparks Farmpark visitors will have a variety of apple-, corn- and pumpkin-centered activities to choose from, including the opportunity to make apple cider and apple butter, “make and take” a painted pumpkin and navigate Farmpark’s three-acre “a-maize-ing” corn maze. A complete schedule of special family programming for the weekend and details on directions and parking will be announced next week and will be posted on this page. The Cleveland Foundation has provided $34.6 million in grants to more than 230 nonprofit organizations in Lake and Geauga counties. Much of the funding has come through the foundation’s Lake-Geauga Fund, which was established in 1986 and is guided by an advisory committee of community leaders from Lake and Geauga counties. Two recent Lake-Geauga legacy grants honor the foundation’s centennial: a $200,000 grant to the Geauga Park District to support the restoration of the historic Nassau telescope at Observatory Park and a $100,000 grant to Lake Metroparks for the construction of a 50-foot observation tower in Lake Erie Bluffs in Perry Township. In celebration of the harvest-themed weekend, the Cleveland Foundation is inviting all weekend visitors to bring a non-perishable food donation for United Way Lake County’s “Feed Lake County” campaign. Special collection bins will be at Holden Arboretum and Lake Metroparks Farmpark on Oct. 11 and 12. United Way Lake County will distribute all donated food among a network of 50 food pantries and agencies in Lake County. Any monetary donations received will also be directed to the campaign. With today’s October gift announcement, the Cleveland Foundation has partnered with 18 local nonprofit organizations and public agencies for its monthly centennial gifts to the community. More than 120,000 Greater Clevelanders have enjoyed the monthly Cleveland Foundation Days to date. Established in 1914, the Cleveland Foundation is the world’s first community foundation and one of the largest today, with assets of $2.1 billion and 2013 grants of $89 million. For more information on the Cleveland Foundation, visit ClevelandFoundation.org/purpose and follow us at Facebook.com/ClevelandFoundation or @CleveFoundation on Twitter.